I had an amazing two-day trip to Lehi, Utah a few weeks ago for Adobe Analytics Challenge. 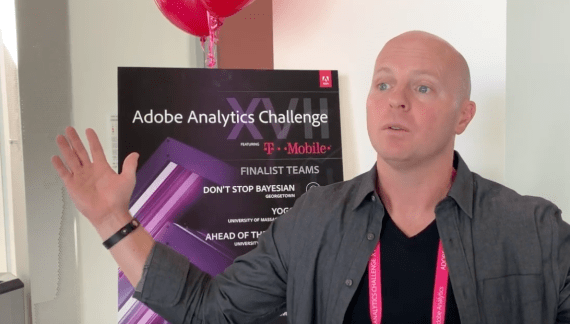 Essentially, Adobe and T-Mobile set hundreds of MBA student teams loose on real, live, actual T-Mobile analytics in Adobe Experience Cloud, and the top 10 teams vied for a $25,000 top prize at the event. I had the privilege of judging.